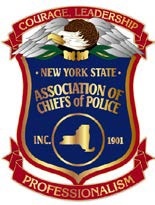 The New York State Association of Chiefs of Police representing over five hundred Police Chiefs, Commissioners, Superintendents and other command level police executives, stands in opposition of the State’s intention to propose legislation that would legalize regulated marijuana in New York State. As Police Officers, we are sworn to enforce Federal, State and Municipal laws and to protect the public. Marijuana is illegal under Federal law and is classified as a “Schedule 1” drug which means that the federal government views cannabis as highly addictive with no medical value. The New England Journal of Medicine reports that “The epidemiological and preclinical data suggests that the use of marijuana in adolescence could influence multiple addictive behaviors in adulthood”. New York State is currently battling an Opioid epidemic with law enforcement and public health professionals on the frontline and it would be counterintuitive to condone the use of marijuana. Aside from the numerous health related issues with the use of marijuana, we are concerned with how the legalization will impact public safety. Of great concern is traffic safety. New York has been making great strides in lowering traffic fatalities to the lowest numbers on record. In comparing data in Colorado (which legalized marijuana in 2013), the first year that marijuana was legalized traffic fatalities increased 62% in that one year. The detection of impairment by drugs on the roadside must be performed by a certified Drug Recognition Expert, which is a law enforcement officer that has undergone at least two weeks of classroom training and an additional one week of practical field training. It is anticipated that law enforcement would have to add approximately 650 new Drug Recognition Experts to handle the necessity of the increase in suspected impaired drivers. Most law enforcement agencies within New York State have twenty or less members. Without the appropriate funding from the State, the financial impact could be crippling to some municipalities. In addition to the need for new DRE’s, legalizing regulated marijuana would necessitate retiring a large majority of Police K-9 dogs that are trained to detect marijuana, as their detection capabilities would no longer be admissible in court. The replacement of these K-9 officers could easily take 5-7 years and cost hundreds of thousands of dollars. There has not been ample time or studies conducted in order to see what pitfalls may arise should marijuana be legalized in the state of New York. Only after bringing all stakeholders together for meetings, studies and dialog can an educated, informed decision be made. Once again, I must emphasize that the New York State Association of Chiefs of Police is in opposition to the legalization of marijuana. I urge the State to proceed cautiously, learning from other states that have already suffered the deleterious effects of this decision, before moving forward with legalization in New York State.